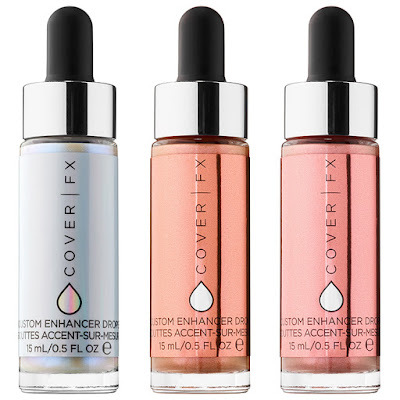 Cover FX Custom Enhancer Drops - 15ml - $52 - in 3 new shades: Halo - holographic effect, Blossom - soft pearlescent pink, Rose Gold - warm pink - that can be used to create a buildable highlight - use them alone for a light reflective strobing even on top of powder or add them to your favorite liquid foundation or skincare product for an all-over glow. Or you can do it the easy, lazy way that I do it, just dab a few small drops on bare skin after moisturizing but before foundation and as you apply your foundation with a brush or sponge it will automatically mix the illuminator in - no extra work required! They're formulated with a high concentration of ultra-fine pearl particles that produce a lit-from-within glow without ever appearing too glittery or overdone. As an added benefit, they contain a nourishing trio of jojoba, sunflower and mimosa to soften, moisturize and plump skin. 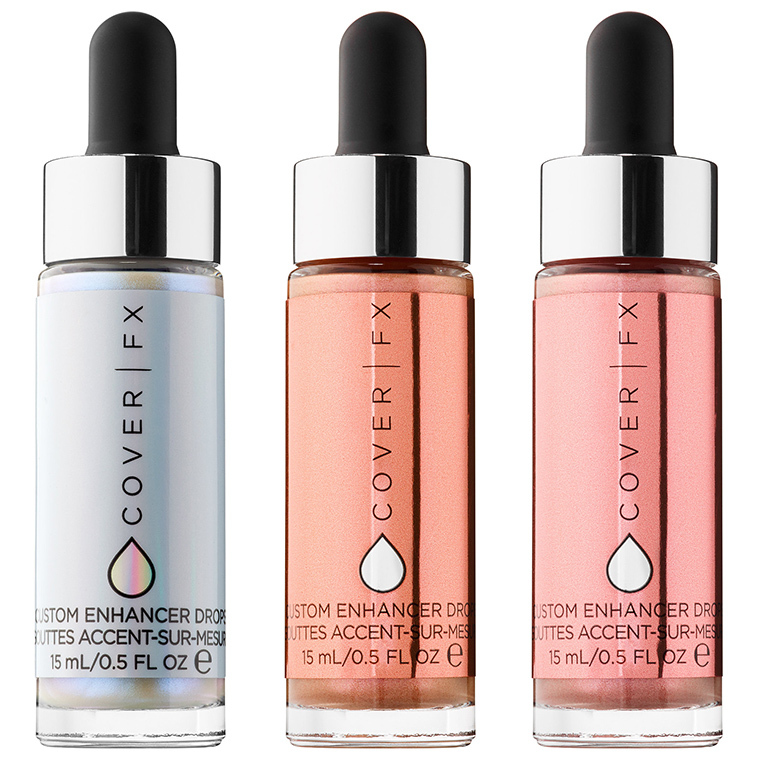 Each weightless, silky drop diffuses light and imparts a soft-focus look that helps blur out skin imperfections, such as fine lines and scars for a perfected, lustrous finish - the more drops you use, the more luminosity you’ll get, allowing you to customize your glow.